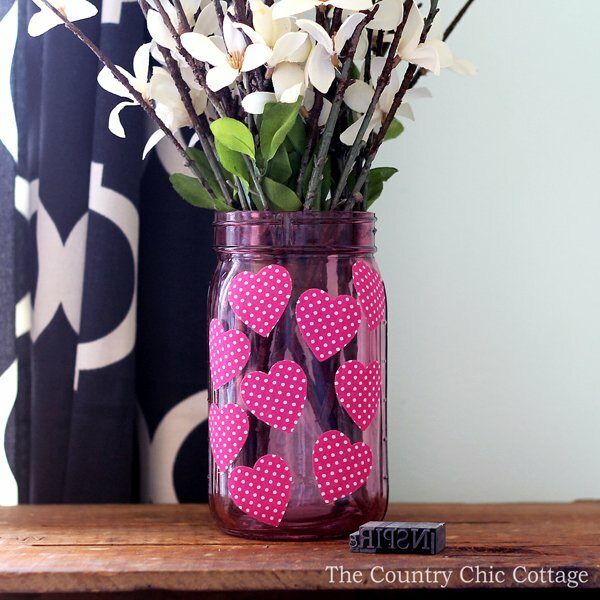 This Valentine’s mason jar is so super simple to make and will look great in your home. 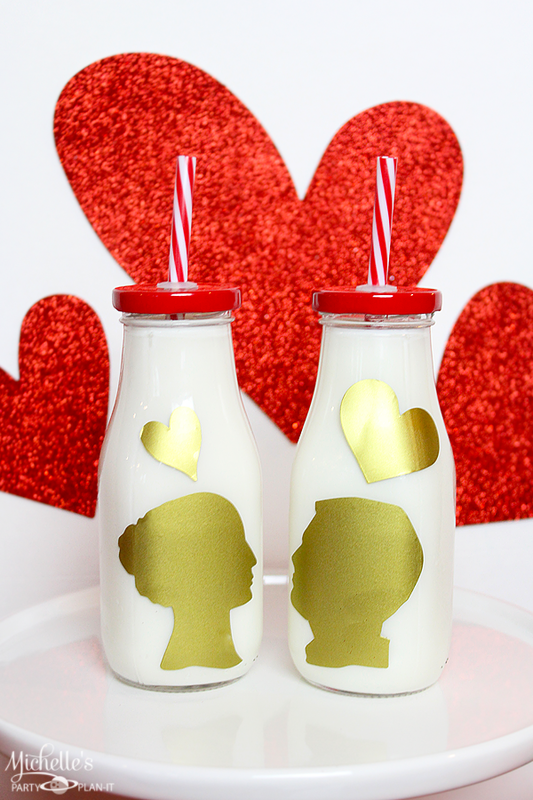 Give this quick and easy Valentine’s Day craft a try! You can use this same method to make a variety of mason jar crafts as well. This post is a part of the Craft Lightning series this week where we are posting crafts that take 15 minutes or less to make. If you have missed any of the fun, be sure to catch up with day 1, day 2, day 3, and day 4. Then scroll to the bottom of this post for even more quick crafts from our blog partners for this series. Links may be affiliate links which means a portion of your purchase will go to support this site. This craft started because I fell in love with these adhesive fabric sheets from Consumer Crafts. I love fabric and if you add adhesive to the back I just have to have it! I took the sheet and ran it through my Sizzix with a heart die. 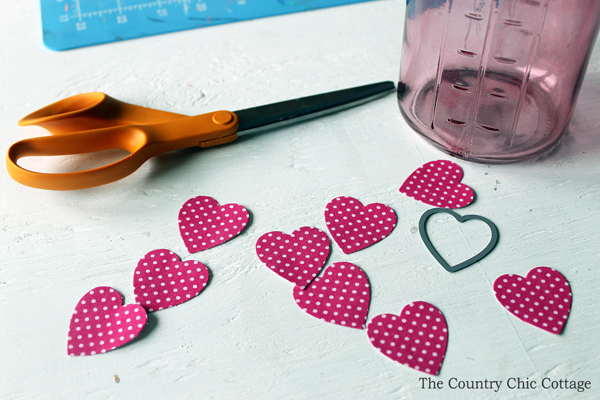 You may have to use your scissors to finish cutting out the hearts as they don’t like to come out! If you don’t have a Sizzix, try an electronic craft cutter or just free hand them! Then just peel the backing from the back and stick randomly to the pink jar. Yep that jar is already pink and it is awesome! I just did it randomly and loved the results. This is such an easy project and is super cute. 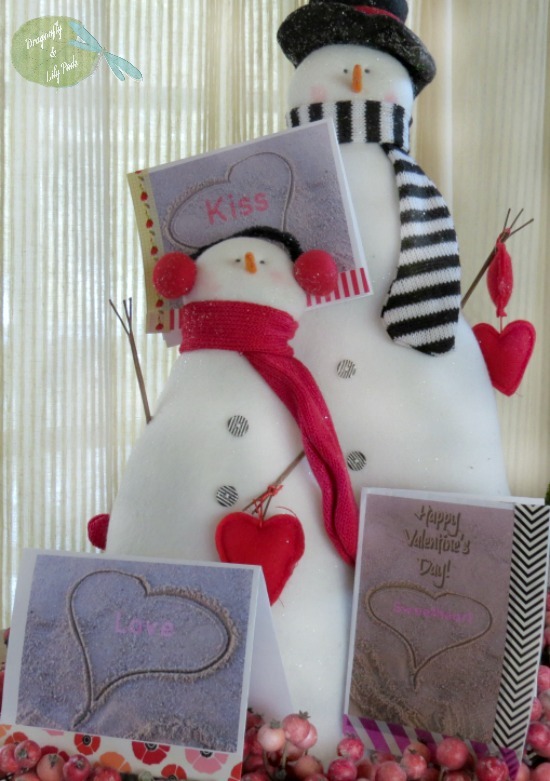 Try different colors of the adhesive sheets and different shaped dies to make this project for other holidays. Circles would be gorgeous for all year round! I added some branches to my mason jar and snapped a few pictures. 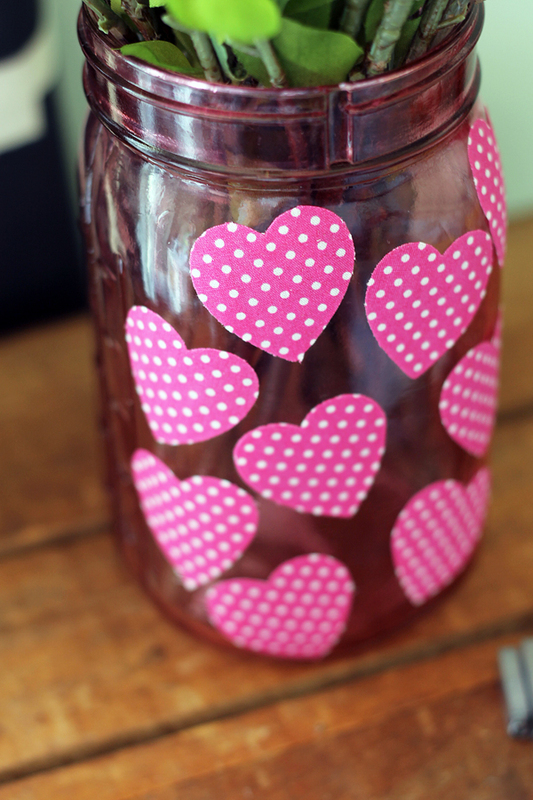 I love this Valentine’s mason jar and you will too! 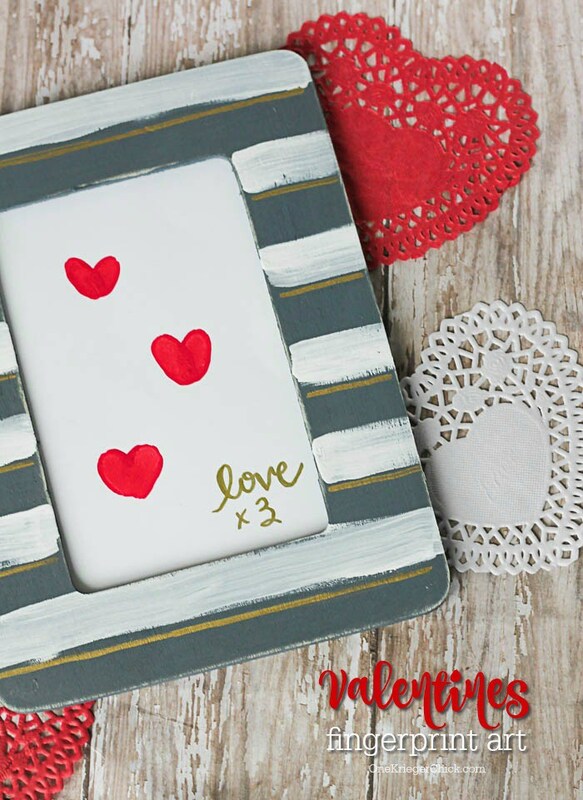 Now if you love Valentine’s Day, you will love these other quick crafts from our blog partners for this series! 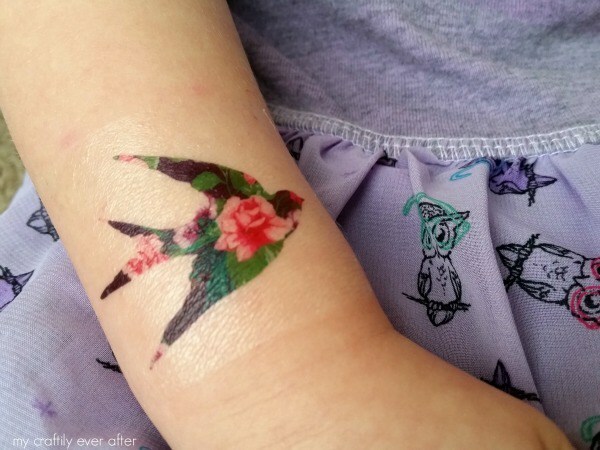 First up is My Craftily Ever After with some great printable floral bird tattoos! 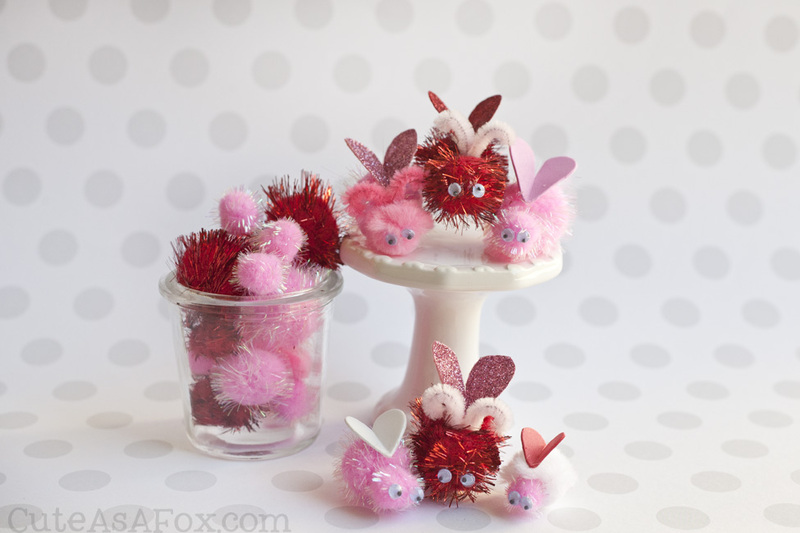 Cute as a Fox is sharing how to make these love bugs. Too cute right? 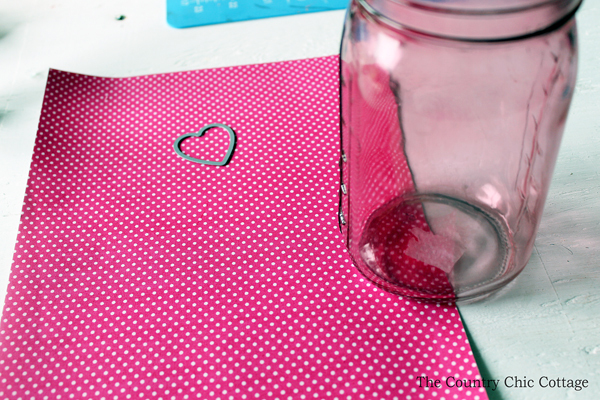 Creative Cynchronicity has a great tutorial for making this glitter heart canvases. A Sweet Berry is showing you how to use shrink plastic to make these fun Valentine’s Day earrings. 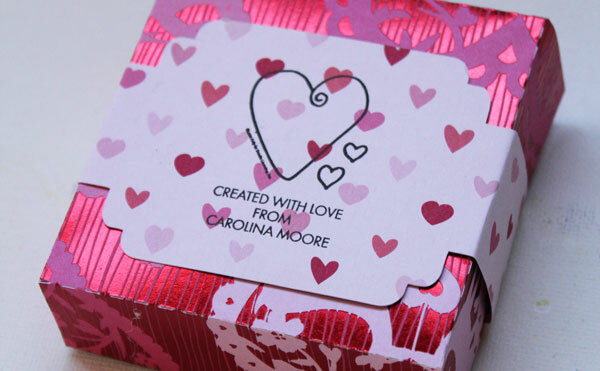 Dragonflies and Lillypads has a great tutorial for making your own printable Valentine’s Day cards. Michelle’s Party Plan It made these adorable Valentine’s Day party favors. 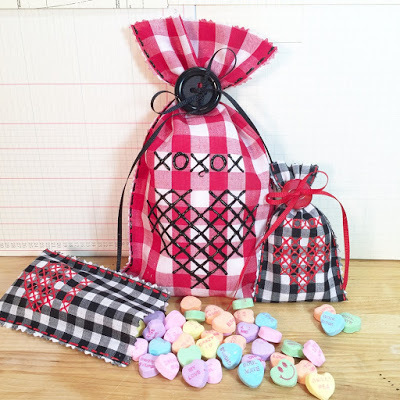 Beth Watson Design Studio is sharing how to make these no sew cross stitch favor bags! Use your kids’ fingerprints to make this fun Valentine’s Day art from One Krieger Chick. 30 Minute Crafts is my co-hostess for this series and today she has a great Valentine’s Day jewelry gift box. I love that stamp! 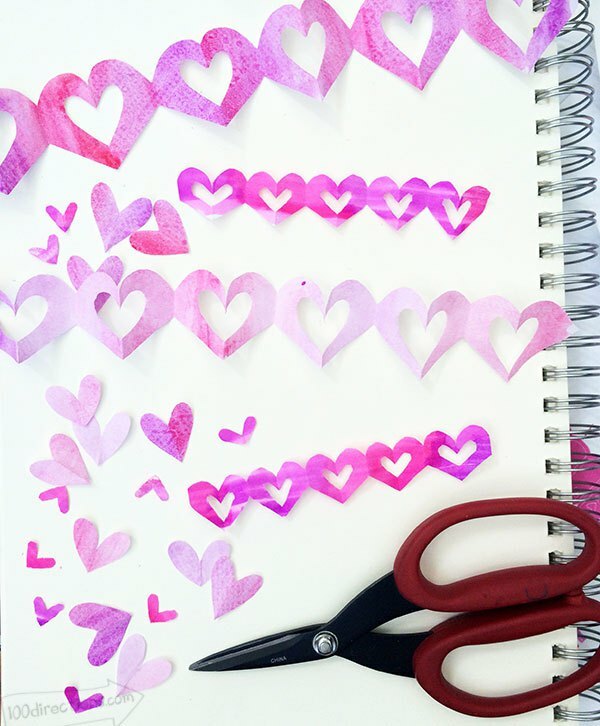 Our guest co-host is 100 Directions and she is sharing how to cut this gorgeous heart garland from paper….with scissors! 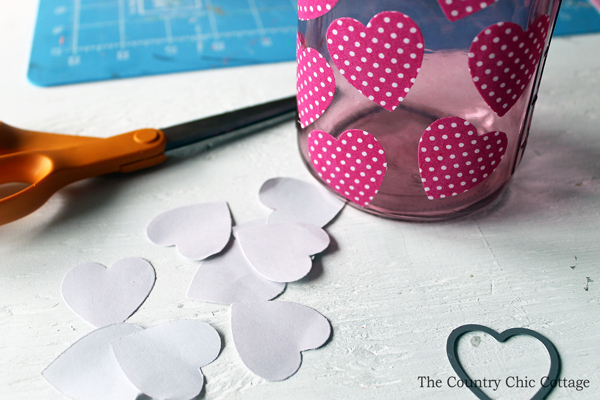 If you loved these quick and easy Valentine’s Day crafts, you really need to head over and follow our quick and easy crafts Pinterest board. 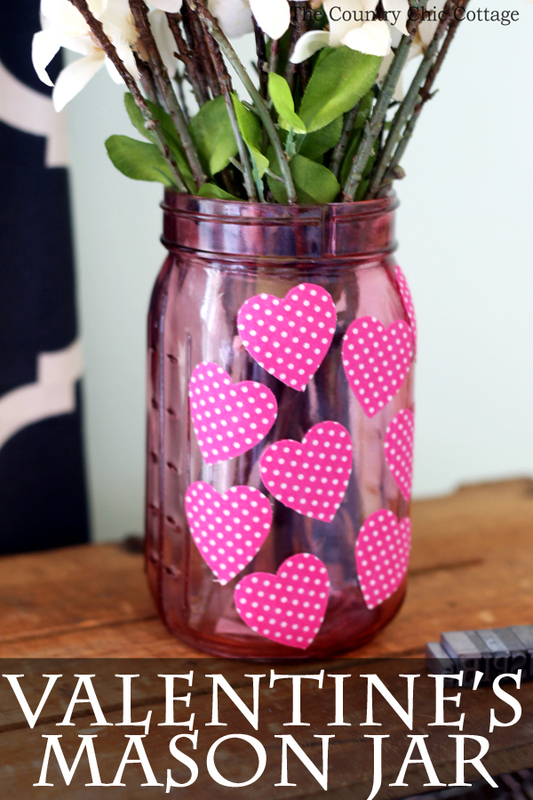 Be sure to give my Valentine’s mason jar or any of the crafts from today a try! You do have time to make something amazing! This is totally adorable and caught my eye at the Creative Muster linky party! I’d love if you share this or any other posts with us at Brag About It. Tuesday link party (starts Monday at midnight). Hope to see you there! Adorable Valentine’s Day ideas! 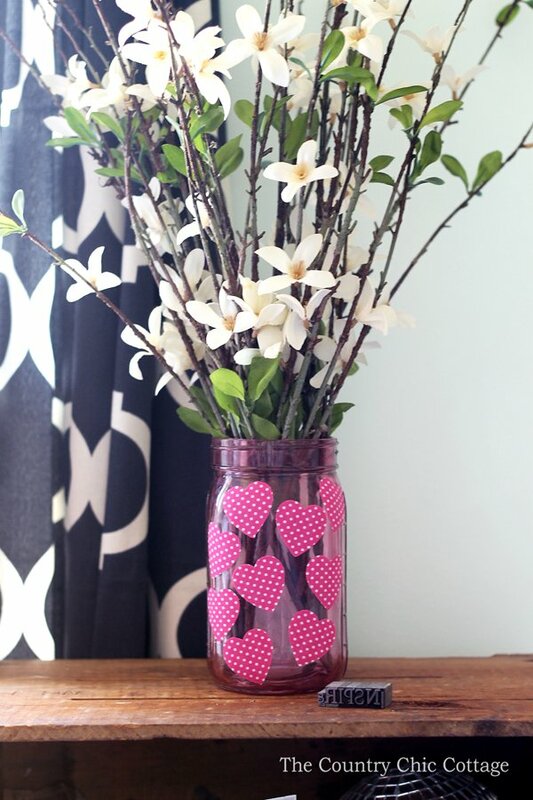 Love the Mason Jar – its easy, works up quick and is a craft you could do with a child. Love it! I love these projects!! Such cute Valentine’s ideas! 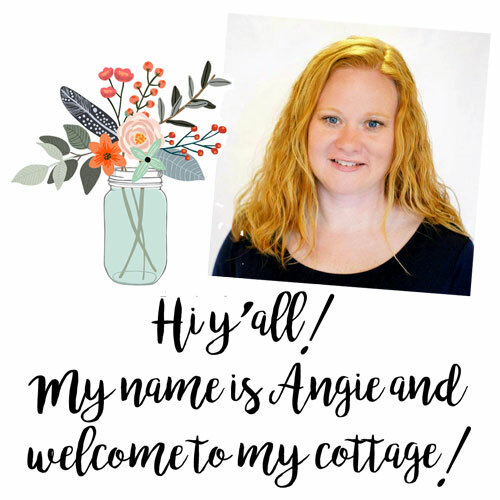 Would love to see you at my craft party which is new Thursdays at 7pm EST. I pin every instruction post! Have a great rest of the week! Love all these ideas, must start with the love bugs! The four-year-old will be in crafting heaven, thanks! Super cute idea! You could use that in so many ways to celebrate Valentine’s Day. It would be fun to give flowers in this jar, too.